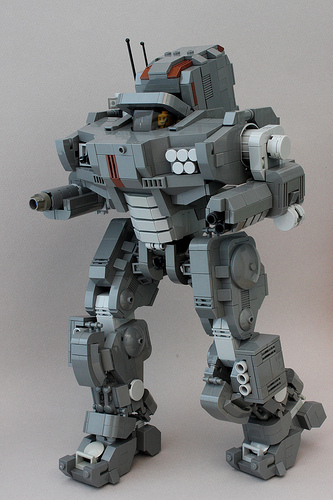 This mega-mech by SPECTRE. is armed to the teeth–or should that be shins? I love the cockpit here; it’s nice to see some deviation away from using an official windscreen in a typical manner. And SPECTRE’s added just the right amount of highlighting to really make all the details stand out.